With the manuscript of the Sidereus Nuncius preserved at the Biblioteca Nazionale of Florence are included 7 watercolors of the Moon painted by Galileo himself. We suggest that some of them, and in particular the drawing of the 30 Nov 1609 of the very first Moon's observations, illustrate the phenomenon of the Earthshine of the Moon, which was discussed in some detail in the Sidereus Nuncius to provide evidence of the similarity of Earth to other celestial bodies. 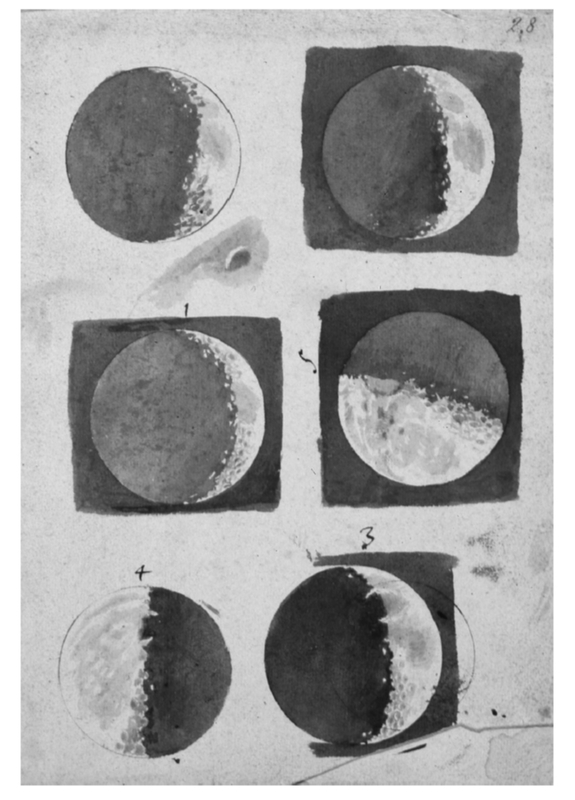 The watercolors were used as models for the engraving of the Moon in the Sidereus but, surprisingly, the secondary light had not been reproduced. Galileo may have decided for the inclusion of the passage on the Earthshine only at a very late stage of the editorial process. Galileo's hesitation shows how contentious was this issue already recognized as a possible discriminant between the different systems of the world.